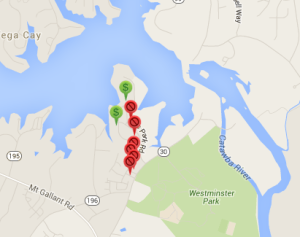 Sunset Point on the shores of Lake Wylie is a beautiful community tucked away on the southeastern corner of the lake near Westminster Park. Built in 2002, the neighborhood includes single-family detached homes and townhomes. It is one of the more affordable communities on the lake with waterfront homes. Sunset Point is 20 miles south of Charlotte with convenient access to I-77. It is minutes from Fort Mill and Tega Cay. Founded in 2002, Sunset Point has many amenities, such as a pool and cabana, grills and picnic area, private beach area with a picnic pavilion and a lakeside boardwalk. The neighborhood also has a 64-space community boat storage area. Most waterfront homes in the community also have either private backyard docks or private community slips. Public access boat ramps for residents who do not have a boat slip or dock is available at nearby Ebenezer Park. Interior homes usually range in the $200,000 to $300,000 range, while waterfront homes in Sunset Point can approach high $400,000s. Currently, there are 2 homes listed in Sunset Point, both waterfront and listed at $450,000. Both homes are around 2,500 square feet. The average sales price for a home in Sunset Point over the last 12 months was $234,050. There were no waterfront homes sold in the last year. The price per square foot for the homes sold averaged approximately $90. 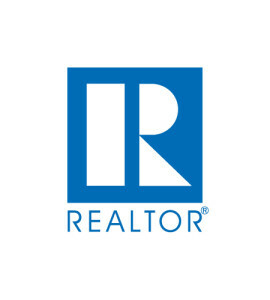 The highest and lowest price of homes sold in the last year was $277,000 and $189,500, respectively. 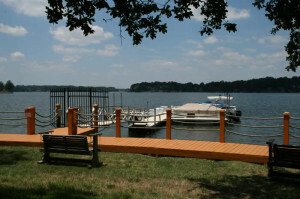 Life on the lake attracts all kinds of buyers and Sunset Point is no different. The community is a diverse mix of young, single professionals, couples, families, retirees and empty-nesters. If you thought waterfront or even water view living would bust your budget, think again. Keep an eye on homes available in Sunset Point!